It's so nice to be back to normal after the madness of Sale week, I really need to start making some new stock! 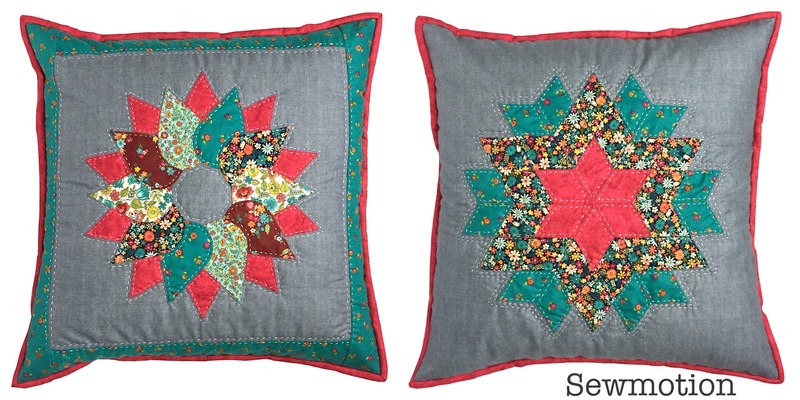 So I've started with these two new EPP cushion kits - a few of my customers often buy two identical kits as they want a matching set for their sofa, then I thought, well they don't need to be identical, just in matching fabrics, so these new releases are both in Makower's gorgeous Bloom fabrics. The first is a variation on my Wreath design and uses curved English paper-piecing to make this beautiful ring. You then appliqué it onto your background square, add borders and then hand quilt big-stitch style. The second cushion is another take on my Diamond Star cushion design, which again looks very striking on that dark grey background. Both kits include all the fabric, pre-cut papers, embroidery thread and full instructions, you just need a square of wadding and backing. You can see my full collection of cushion kits here. 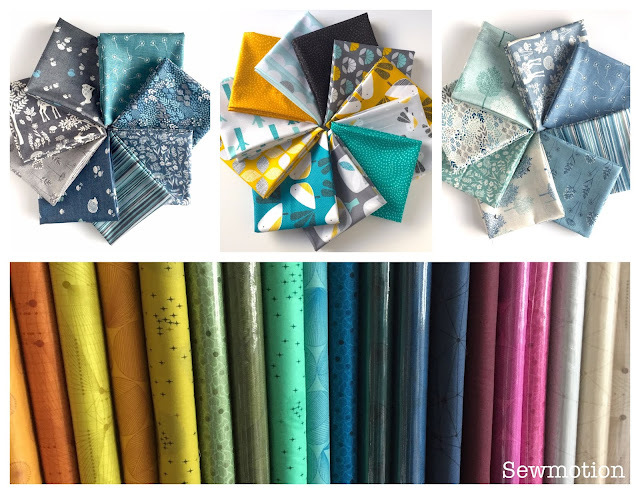 I've had quite a few new fabrics arrive lately which I'm just desperate to start working with, I've added some new fat quarter bundles to the shop including Makower's Woodland and Dashwood Studios' Nesting Birds, but I'm keeping Quantum to myself for a little while longer... I have so many plans for this beautiful range, I just love the masculinity of it and can see some great 'man' quilt kits on the horizon! I have recently added a couple of new items to the shop, including this luscious wadding I came across a few months ago. Matilda's Own 80/20 wadding is sooo soft, easy to quilt, both machine and hand, and comes in at 94" wide, a little wider than your normal wadding, and as we all know, that 4" can make all the difference! Click here to find out more. 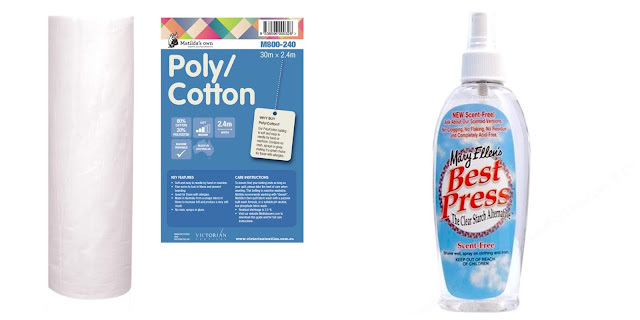 My second new stock item is something I now use religiously in all my EPP work - Mary Ellen's Best Press. Once I have pieced all my shapes, and BEFORE taking the papers out, I spray my work with this gentle fabric starch and press. Not only does this flatten out the odd lump, but it also helps maintain those sharp folded edges to help with the needle-turn appliqué. Find out more here. If you're an avid reader of the wonderful Love Patchwork & Quilting mag, you'll find my lovely set of cushions in the latest issue - this curved EPP project uses larger shapes making them a great introduction to this technique, and who could resist those gorgeous Dovestone fabrics from Dashwood! 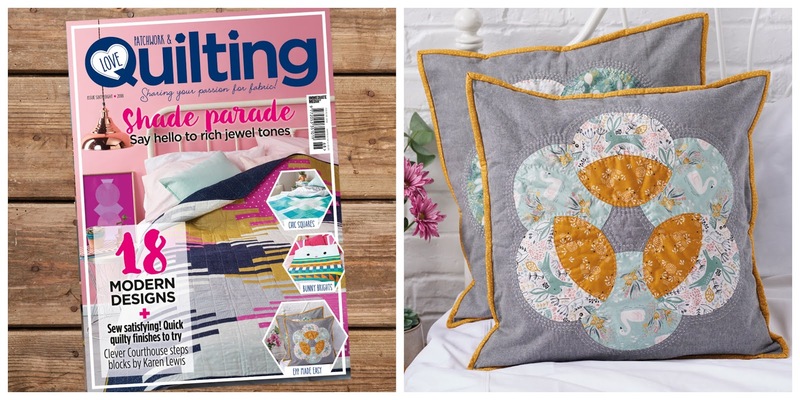 This is a fantastic bumper issue with projects from Kate Webber, Yvonne Fuchs, Karen Lewis and Lynne Goldsworthy - what amazing company I'm keeping! Wishing you all an amazing creative week.